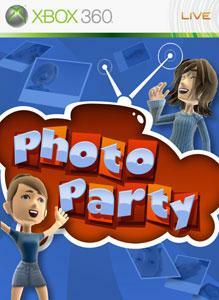 Photo Party is a fun new way to share your photos with your friends on Xbox Live. Plug in any supported digital media devices (such as your digital camera, a USB stick containing photos, a Zune, etc.) into your Xbox 360's USB port, get into an Xbox Live Party, and start a Photo Party!